Taking your decoration idea and making it a stained glass treasure. 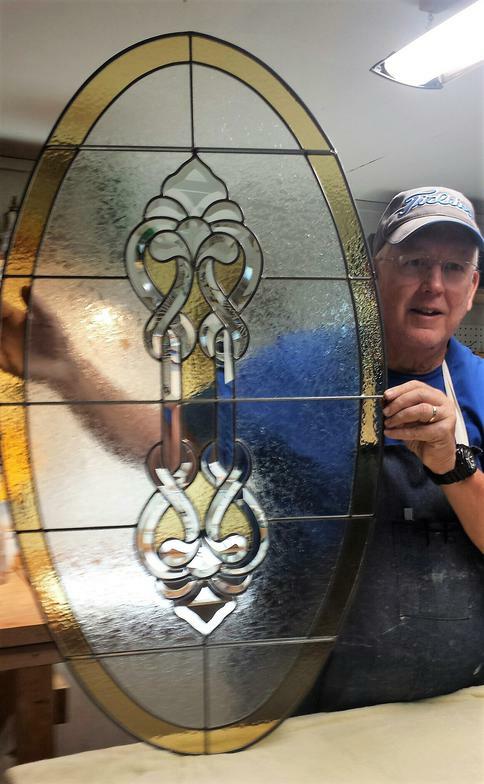 Being a family-owned and operated stained glass studio, we are able to offer you that personal touch you have been looking for. Our goal is to make all of our customers happy. 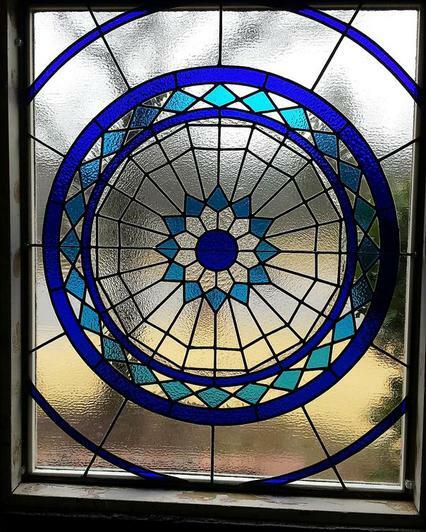 At Sunny Days Glass Art, we really care about the stained glass we produce, and we like to share our most important services and products with you. These include stained glass window panels, stained glass cabinet doors, Church windows, wall mirrors with stained glass, and suncatchers. What sets us apart is working with the customer to fully understand their input for the project. Then I design the project and present a drawing to the customer for final approval before fabrication starts. This has proven to be the key to delivering a finished product that is clearly what the customer wanted and not something that the artist pushes onto the customer. My studio works with the lead came traditional method of making stained glass as opposed to the copper foil method. Both methods are fine but I prefer working with the same style that has been around for centuries. Since my studio is located in Paris, Arkansas I focus on the Arkansas River Valley area between Fort Smith and Russellville. I like to visit customers and see what they are wanting, where they are going to put it, colors and textures that work for them, etc. If you are outside of this area we can still collaborate through the internet and phone to develop your product. Daytime picture of 2 mirror image quilt pattern panels in corner windows. Picture of the same stained glass panels taken at night. New church windows and restoration of old ones is our specialty. Here is a panel made for a transom above the front door of an older house that displays the street number of the house. These panels can also be hung on the front porch for an awesome display of your street number to the public. Here are three decorative panels used in a pergola design. These not only add some outdoor artwork but they provide additional shade in the afternoon. The customer wanted blue colors to match their nearby pool. Stained glass kitchen cabinet panels with backlighting. Sports panels, lamps, etc. are only limited by your imagination. Make your sports fanatic happy with a customized stained glass design. A new bathroom window using obscure clear glass textures with a couple of shades of blue.